It's done, it's done, it's done! The first round of my favorite program of all time, my soul mate, and the first program I have done, start to finish without changing a thing.....is DONE! 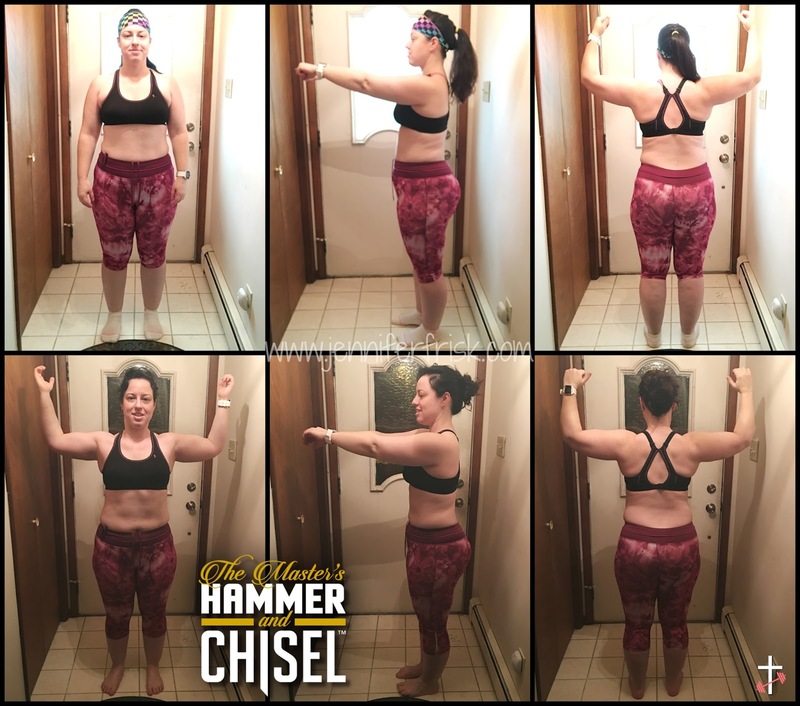 If you have been around for any length of time, you know that I have always considered P90X3 as my soul mate, but after 56 days of Hammer and Chisel, I can no longer say that. That's 9.4 inches lost! But the crazy part? 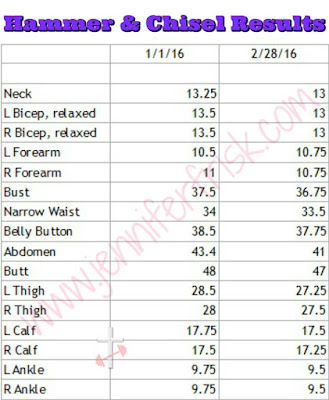 I'm only 3.8 pounds less than where I started. This program is definitely a muscle builder! And since I love being a strong woman (and pride myself on it), I am VERY happy with those results! So....why do I love this program so much? Let me count the ways! First and foremost, I love how strong I have become! I use an app called Fitlist to track the weights I've used each day, and there is nothing better than seeing those numbers go up! I am so excited that I can do sets of Bulgarian split squats with 20lbs in each hand or that I can do sets of 45lb deadlifts. Probably my second favorite thing about this program is what I call the "boredom buster effect." 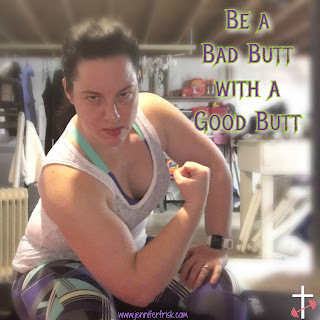 Unlike most of Beachbody's programs, you never know which exercise is due for which day. In fact, day 1's workout doesn't repeat until day 13; day 2 doesn't repeat until day 20; etc. While that does mean that I plotted my workouts on my calendar to keep me straight, it also means I NEVER dreaded a workout. EVER. Um, we'll just say, booty gains. 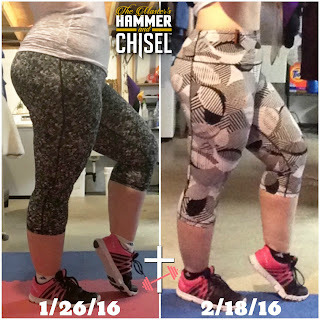 H&C has totally impacted my running....in an AMAZING way! So, quite honestly, I haven't run since last fall. What can I say? I'm a winter wimp. I hate the cold. However, we've had some unseasonably warm days up here in PA lately, so I decided to see just how far I had fallen with pacing... My average pace last year was between 12:00-12:30 minutes per mile. How fast am I now - WITHOUT running? Drumroll, please...... I have now run three times, ALL at 11:30/mile! This is the FIRST time in my life that I can do any pull-ups independently! Granted, they're not perfect or necessarily even pretty.....but I can do them! Crazy town, right??? First off, you need to know I don't swear. Like EVER.